It is very common for children up to the age of eight (8) to struggle with printing. Some children will print letters backward and will struggle with placing letters too high or too low on printing guide lines. Letter placement and reversals can plague a struggling learner well into the teen years. This lesson offers plenty of fun while learners practice letter formation and placement. Each group of letters is related to an animal which becomes a handy reminder of where each letter sits in the Printing House Guide Lines. Learners of all abilities will relax when they discover the key to printing. LETTERS© Printing House Animals – four (4) colourful animals made especially for LETTERS© ​Printing House Guide Lines. Animal images are hand-drawn by artist Emily Duncan and are as fun to look at as they are to use. These cute critters are made in CANADA especially for LETTERS©. ​A moth is a butterfly of the night. Learn Create Love has designed a beautiful moth craft. This page also features a fascinating video on the life-cycle of the luna moth. The National Moth Week site has page dedicated to kids. It has PDF books, online games, and fun activities to help students learn about moths. The Children's Butterfly Site tells about the difference between butterflies and moths. National Geographic Kids has beautiful pictures of moths that will change the way you look at moths. for sharing this link to his favourite article on backyard insects! Giraffes are the tallest land animals. You can make a paper mache giraffe pencil holder by following the directions at DLTK's Growing Together. Take a look at the giraffes at the San Diego Zoo. Check out the Animal Fact Guide to find out where giraffes live. National Geographic Kids has something to tell you about giraffes, too. Ducksters.com wants you to know how slow giraffes are what they eat and how tall they grow. Monkey letters have tails that fall. Monkeys use their tails to swing on trees. 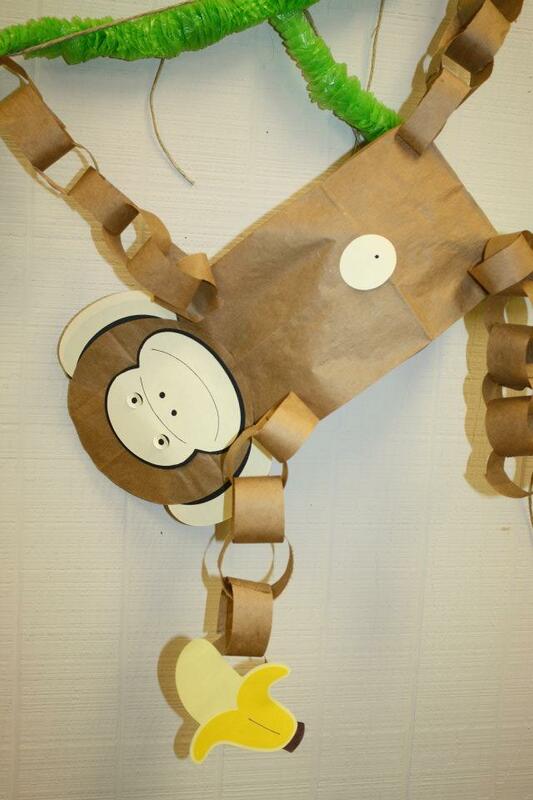 Amanda has put together a fun hanging monkey craft using a paperbag. Amanda certainly has wonderful ideas for a monkey-themed party! Monkey Worlds has dedicated their website to learning about all the different types of monkeys. They have wonderful pictures of those mischievous monkeys. National Geographic Kids knows a lot about monkeys. Take a look at this website by Animals Time the online animal encyclopedia. It is designed for learners who want to know all the details about monkeys. Here are some fun monkey facts for kids from Science Kids: Fun Science & Technology for Kids! ​The jellyfish letter is different from them all. This video posted by Barrett Sanders shows how to make your own jellyfish in a bottle. National Geographic Kids have some beautiful photographs of jellyfish. They have a lot of information about them, too. JellyWatch.org is a page for recording sightings of jellyfish and other marine organisms. Did you know some jellyfish are larger than humans? Fun Facts for Kids has a terrific webpage and a fact sheet on jellyfish. Here are some fun facts about jellyfish for kids from Science Kids: Fun Science & Technology for Kids!